One of the best things about open world games is the crazy Easter eggs that players can find tucked away in the darkest corners. 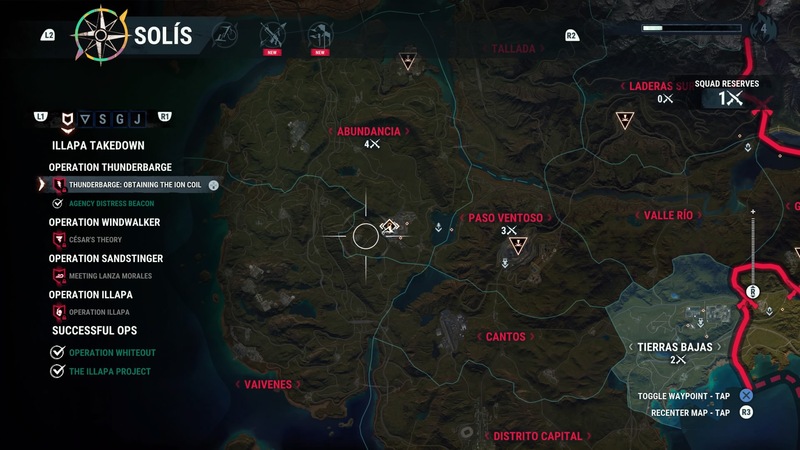 Just Cause 4’s massive world is full of hidden treats, and it includes one of the best Easter eggs I’ve ever seen. “Take On Me” by A-ha is a popular 1985 song with an iconic music video where a woman is pulled into a sketched world. The music video has been parodied a lot over the years, including in Family Guy with Chris being pulled into the music video’s crazy black and white sketch world. 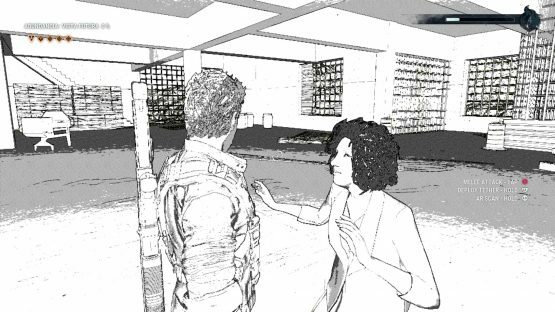 Just Cause 4 adds to the list of great “Take On Me” parodies, with a whole area devoted to sending Rico right into A-ha’s video. Head to a city in the south end of the Abundancia region. You can see the exact spot on the screenshots below. Once there, head to the south west side of the city. 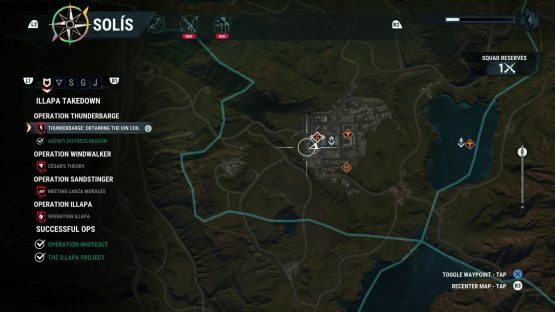 You will find a building that appears to be under construction. Head to the top floor of this construction building. Along one of the walls of the building there is a set of stairs leading to the next level down. You will start to hear a familiar tune at this point, and something looks kind of suspicious about those stairs. 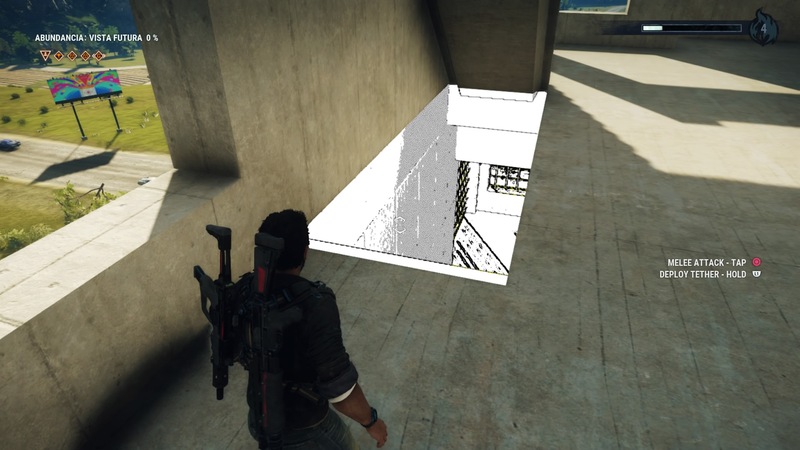 Head down the stairs and Rico will be transported into Just Cause 4’s version of A-ha’s music video, complete with the full song, a window into the “real world” and a dancing woman. 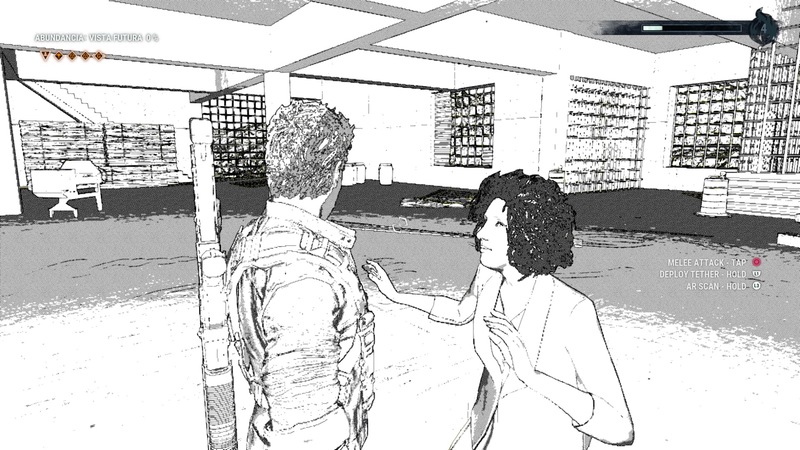 What did you think of the Just Cause 4 Take On Me Easter egg? 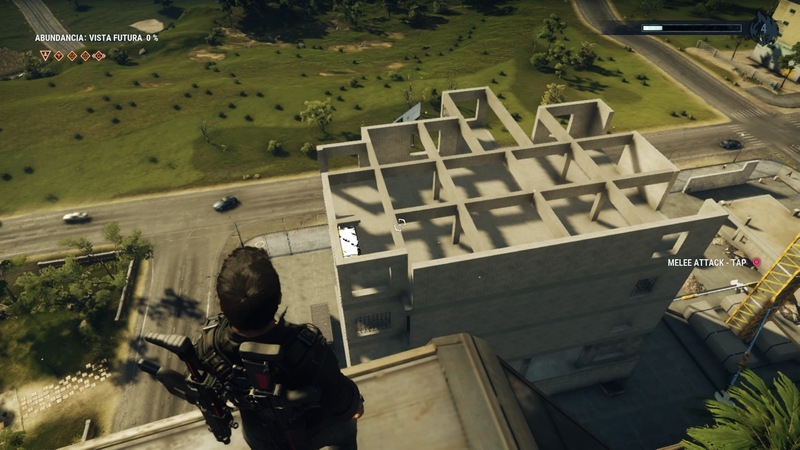 Have you found any other great Easter eggs in Just Cause 4? 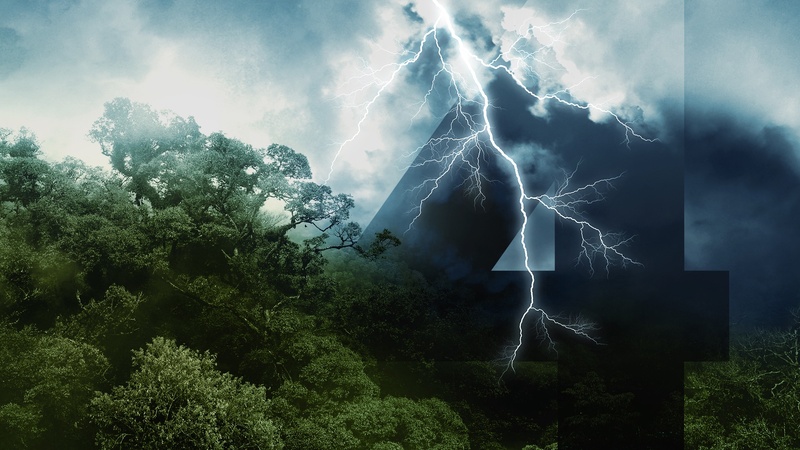 So far we’ve come across this one, a clear reference to Jurassic Park, and the most annoying minigame in the world as Just Cause 4 channels Getting Over It with Bennett Foddy. Let us know what you’ve come across in Rico’s chaotic adventures, and be sure to check out our full review of Just Cause 4 if you’re on the fence about picking this one up.